Positive Coach’s professional coaches and consultants are highly experienced executives with extensive hands-on knowledge about what it takes to be successful in today’s competitive corporate environment. Each one has significant credentials and certifications they bring to their engagements. All our coaches are creative and flexible in their approach to helping our clients reach their goals. We are totally committed to providing outstanding value for their investments with us. Positive Coach applies a systematic approach to Executive Coaching gleaned from years of practical experience and ongoing study and research in the areas of executive development, human behavior, and professional coaching. We have found that there are few substitutes for actual hands-on, meaningful business experience when it comes to assisting our clients in their personal development and solving business challenges. Our coaches are all highly experienced executives with extensive hands-on knowledge about what it takes to be successful in a competitive corporate environment. Each one has significant credentials and certifications to bring to the coaching engagement. Above all, we deeply care about our clients’ success. Positive Coach is able to manage large coaching contracts with each company’s unique requirements using it’s proprietary control panels and user friendly dashboards. These current and sophisticated systems ensure consistency, efficiency, and quality control. The first stage of any coaching engagement is establishing the agreement and creating awareness and clarity about the coaching goal. The approach may vary depending on what the company or individual has available or prefers. Assessments and instruments are used judiciously. For many professional engagements, we gather detailed feedback by conducting a series of one-on-one interviews with other senior executives, colleagues, and their employees … often referred to as a Soft 360° or Interview 360°. A confidential written report is provided to the client as part of the initial feedback session. It is not automatically shared with the company–that is up to the coachee and is governed by the terms and conditions of the contract. Mina is recognized for her focus on tangible business outcomes. 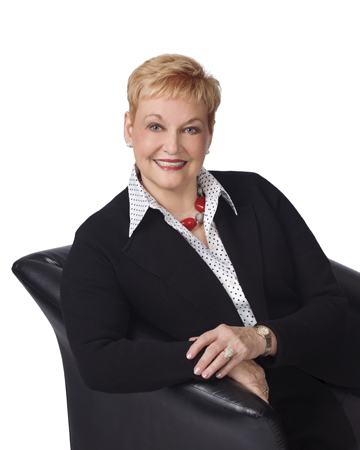 She works primarily with executives, professionals, and management teams in areas of leadership, communications, conflict, team effectiveness, business strategy, and career management. Her clients come from a broad spectrum of industries: technology, aerospace, consumer products, telecommunications, automotive, financial services, venture-backed start ups, manufacturing, and real estate management. For more than 25 years, Mina provided operational and financial leadership for large successful public corporations. Prior to starting her coaching career, Mina held senior executive positions with Aviall, Inc. (NYSE: AVL, now owned by Boeing), both as Chief Financial Officer and as SVP & General Manager of its Aerospace Division. Previously, she held management positions with Ryder System (NYSE: R) and Amax, now owned by Freeport. Mina started her career with Price Waterhouse. 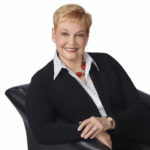 She is a Master Certified Coach (MCC), Board Certified Coach (BCC), Certified NLP Coach, Certified Master NLP Practitioner, and has certifications in numerous diagnostic instruments, learning tools, and other models, including: Hogan Assessments®, Korn Ferry Leadership Architect Suite® (formerly Lominger Voices), Five Dysfunctions, Kolbe Index®, Situational Leadership®, Conflict Lens®, and Leadership Practices Inventory® (LPI), among others. Mina is a longstanding member of International Coach Federation (ICF). Check out Mina’s books on Amazon.